Our BULLETPROOF PAINT JOB and Annual Maintenance SERVICE IS THE BEST. 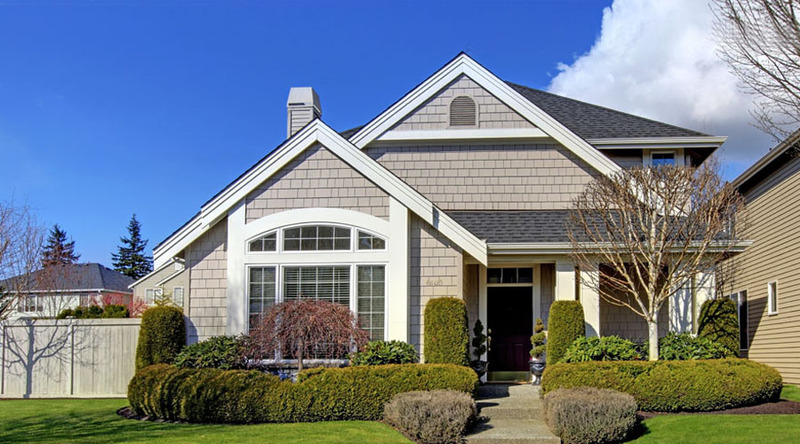 Pacific Northwest weather can be very hard on exterior painted surfaces and many contractors do not take into consideration the long term impact of seasonal changes when painting a home. We pride ourselves in providing a painting service that looks great and protects the clients home for years to come. What makes our service different is the time we take to remove all traces of mildew, mold or rot damaged areas and then replace, seal and protect them from the elements before painting over them. With our low cost preventative care package we can save you a lot of time, money, and headaches by protecting your home from the elements and keep it looking bright and beautiful at the same time. The mission of the Sunrise Home Pros Team is to make your life easier, save you money and create a relationship that will last for years to come. We only use only the highest quality paint products, professional tools, and approved extension ladders with stabilizer bars, leg levelers and first-class fall protection equipment. This service comes with a FREE ANNUAL INSPECTION of all caulking, and painted areas including siding, trim, fascia, posts and beams so your home is always in TIP TOP shape. Save even more time and money by combining this service with our other annual exterior home protection services like roof and gutter cleaning, moss prevention, window, siding, concrete cleaning and landscaping services.